Two months ago, I signed up for my first 5K and wrote my first blog post. I had only dabbled in running before that, but took the leap of faith and registered for the race because I knew I needed a specific goal – and deadline – to break the pattern of stop-n-go exercise I’ve been in for … oh .. ever. I was excited about the challenge, but didn’t expect to love running so much. But I did. I fell head over heals in love with it. 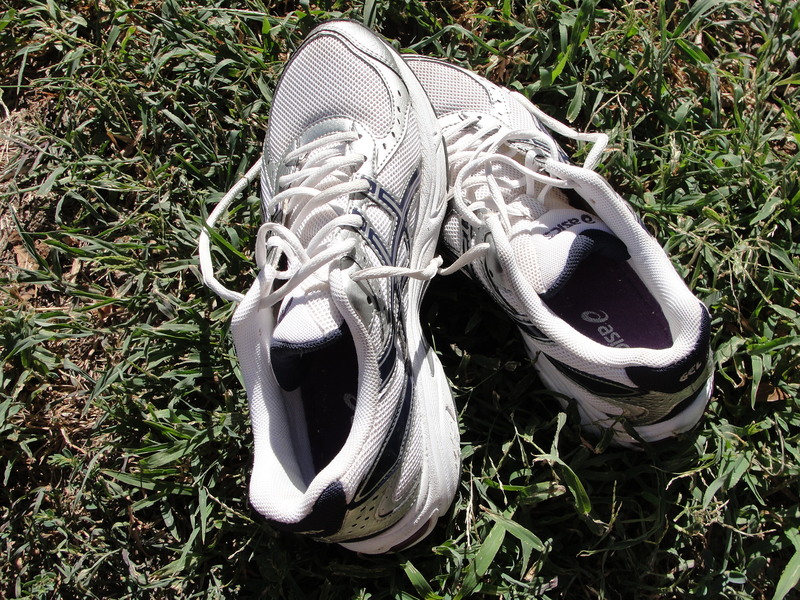 I love the freedom of lacing up my shoes and heading out the door in the mornings. I love the fresh air and early morning light, the sweat pouring down my back and the unparalleled mental and physical challenge of just one more minute, just to that tree there, and … again. I love that it’s so absolutely personal, yet a sport whose participants share an immediate bond. In only two months, running has altered not just my body, but the way I see myself. I am strong. I am determined. I am an athlete. That is why this week has been so hard as I’ve struggled to accept that I will have to stop. If I continue, I risk serious injury and worse. Running is just something my body will not allow me to do. I was diagnosed with scoliosis as a child, but had a fairly mild C-curve and the pain was always pretty tolerable. Although the pain increased as I got older, I learned to deal with it and never felt limited. That all changed in an instant my freshman year of college. I was walking to class one morning and fell. I didn’t trip or step on something. I just … collapsed. No warning, no pain. I had no idea what had happened, but was able to get back up without problem. Obviously, it was very disturbing, so even though I didn’t have health insurance, I made an appointment to see a doctor. My first MRI showed a single bulging disc. The disc was pressing on a nerve, and for whatever reason, at that moment it pressed the nerve hard enough to make my legs just give out. It could happen again. Or not. Nobody could predict. The next few months of pain and tests and appointments are a blur. I was diagnosed with Degenerative Disc Disease and arthritis of the spine, in addition to the scoliosis. A perfect storm. I decided the following semester to just take one class and get a full-time job at a bank so I could have health insurance. I worked there for a year, diligently paying my premiums, so I could try physical therapy and steroid injections and see a specialist regularly. I didn’t improve, and by the following spring my doctor recommended a discectomy, a relatively simple surgery in which they would remove the bulging section of the disc that was pressing on the nerve. I would need about 3 – 4 weeks to heal, and could expect significant improvement. At this point I was in so much pain I could hardly walk, so I agreed. But then … to make a long story short, I couldn’t work without the surgery, but the bank wouldn’t hold my position for me while I recovered, so I lost my job. And my insurance. I couldn’t afford the Cobra premium, so I ended up moving in with my mom that summer and was essentially on bed rest, hoping the disc would self-heal. That summer was full of pain meds, books, and movies. And not much else. Thankfully, I did improve, and returned to school that fall. I finally felt normal again. I still hurt a lot, but I was walking fine, going to class, working, and hanging out with friends. It.was.glorious. For about five months. Slowly, the pain increased, but this time greater than before. I was unable to walk, unable to go to class, unable to do anything on my own. I lost my job – again, and my insurance – again. Anyway, the tests showed I had two severely bulging discs, at the L4-L5 and the L5-S1, both with radial tears. They were irreparable. 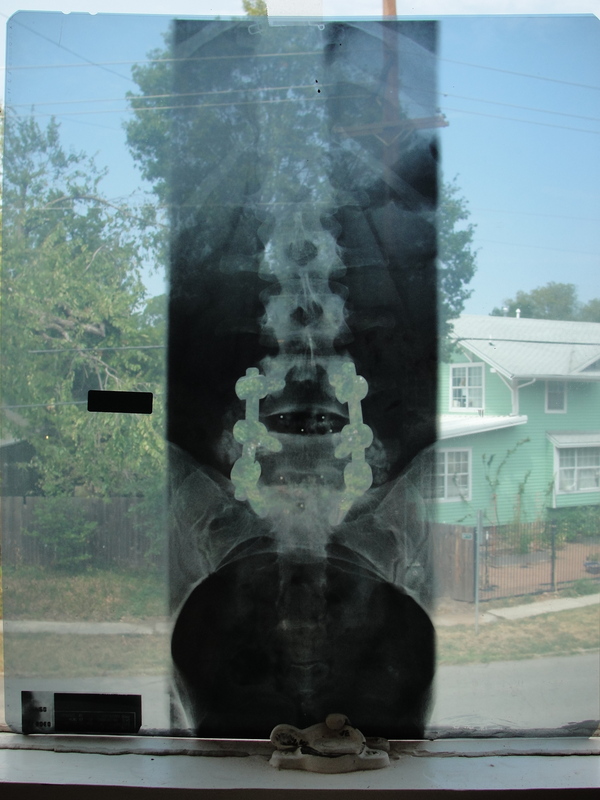 The only option at that point was a Posterior Lumbar Fusion Surgery (PLIF). They would remove the discs and the bone surrounding them, place perforated cages in the disc space, grind the bone down and pack it into the cages and around the area so that it would eventually solidify into one big mass, and stabilize the area with two rods and six screws. It would take approximately 6 – 9 months for me to recover. Not exactly the minimally invasive discectomy I could have had the year prior, but I would do anything at that point to get better. I applied for a “scholarship” at the hospital, and three months later was officially granted the surgery on a sliding scale at 0%. The surgery would have cost $120,000. I have many, many thoughts on the health care system in this country, but they aren’t as black-and-white as you may think. I have experienced the best and worst of it, and I know there are no easy answers. At the time, I was a 23-year-old with a condition usually only seen in adults over 50. I couldn’t walk or even stand up straight, and I was desperately trying to get better. I wanted to be a productive member of society. I didn’t want to be a charity case. After years of missed opportunities, two lost jobs, and nearly $10,000 in medical bills, I was angry. Yet, I also had access to an amazing teaching hospital with cutting edge technology that gave me the ability to walk again. The surgery was scary. Risks, beyond infection, included paralysis or bleeding out. And it was PAINFUL, the kind of pain that makes your teeth chatter. I felt like I’d been cut in half (essentially, I had). But I was so incredibly happy. I had hope. I was told I could, at best, expect around 80% pain relief. I think I had better. More importantly, I could resume my life! I went back to school, met a boy, studied abroad, got a masters, and started my career. One thing I learned through that experience is that the worst part of being sick is not the pain, but the loss of opportunity and hope. And that is why I have decided to quit running. I’ve mentioned a few times that I’ve had more back pain the last few weeks. I’ve tried to be very careful, not increasing mileage too fast and doing some runs on the treadmill. I have walked a fine line between not giving myself an excuse to take it easy and not pushing so hard I injure myself. The downside of a fusion surgery is that it actually increases the likelihood that the discs surrounding the fused area will herniate or rupture. In fact, I was told I would likely need another back surgery within 10 years. That was 8 years ago. I truly believe I can avoid more surgery, at least until I am much older, if I take care of myself. I have been careful to not gain weight (the added pressure can stress the discs), quit smoking, and focused on nutrition. And I’ve committed to changing my lifestyle to be more active and fit. I knew going into this that I may find running to be too hard on my spine. I’ve had minor back pain tied to running almost from the start, but I thought it would improve as I grew stronger. Then, two weeks ago, I experienced strong pain after my workout. It worried me, but only lasted a few days. Last Saturday, I had a fantastic run, increasing my speed by more than a minute per mile. I was careful to stretch afterward, and was thrilled to find my back felt pretty good. Still cautious, but happy, I ran Tuesday morning. It was one of the best runs I’d had, running longer and farther than ever before. I felt amazing and excited about my 5k. But then … intense pain. A very familiar, scary pain. I’m fairly certain I have another herniated disc. I can’t stand for more than 10 or 20 minutes without needing to sit down and there is numbness in my leg. But I believe it’s a minor herniation, and I can self-heal if I do things right. However, the cycle of pain tied with my runs and the fact that I (probably) have a herniated disc after such a short time makes it clear running is just too risky. It hasn’t been easy to accept. Even now, as I type these words, my throat is closing up, my eyes are watering and my mind is racing to just find a way, don’t give up. I’m sure some people would think I’m being dramatic since I’ve only been at it for two months. It’s not like I’m a marathoner who’s been running for years. But I am sad. I felt like a light turned on the first time I ran. I had an immediate passion for it. Still, I know I’m making the right decision. I don’t want to squander the gift I’ve been given. So … what does this mean? In truth, my original goal has been realized. For the first time in my life, I have created a habit of exercise. My mindset has changed. I crave exercise. It isn’t a chore; it is actually fun! And I know there is more out there than running. I plan to explore biking, swimming, the elliptical, yoga, basketball, and more weight training. First things first, of course: I am going to focus on healing my back for now. 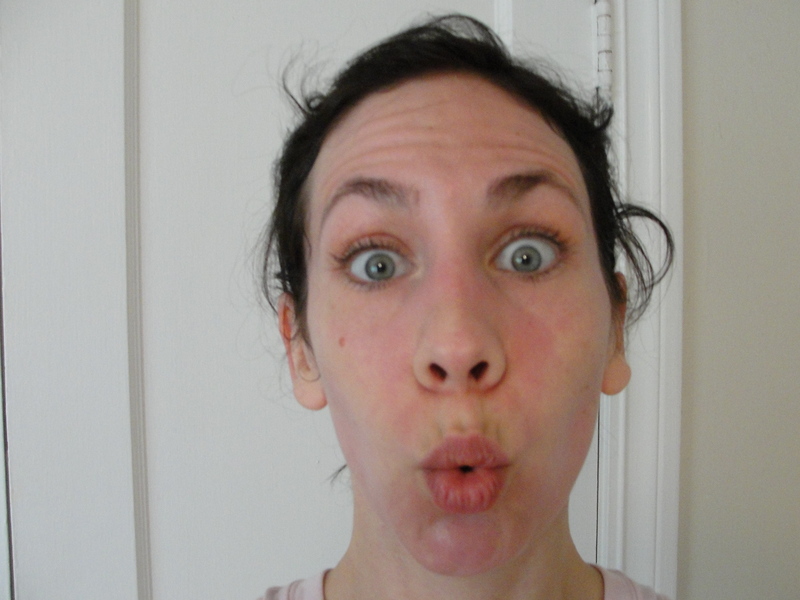 As far as my 5K next Saturday – I am going to see how I feel. I’ll either walk it or I’ll be an enthusiastic and loud(!) spectator. Either way, I am going to have fun and be thankful for how far I’ve come … and all the future holds. Katie Levans over at Sweet Tater is one of my best friends from college and I just happened to click on your blog in her Comments section. I’m sure you’ve heard this 1.23232… trillion million times, but after reading about your back injuries, I find you to be incredibly courageous. I cannot begin to imagine the responsibility of dealing with the advanced pressures of medical bills and insurance trouble at 23 (not to mention all of that pain). I’m pretty sure I was still learning to balance a checkbook at that age (wait, DO people still balance checkbooks?) so to read about what you had to go through is inspiring to my current eversoslightlymorefiscallyresponsible 26 year old self. Anyway, I couldn’t NOT comment after reading your story. Bravo for being brave enough to try running, and bravo for being brave enough to stop. This comment TOTALLY made my day! So, thank you!! 🙂 I was talking with my mom about it tonight, and, honestly, the biggest emotion I have from the whole experience is gratitude. I appreciate my health and opportunities a million times more now. It has been tough to give up running, but … I’m going to try yoga this weekend – something I have always been super intimidated by. So, yay! Also, I love Katie’s site (I mean, Caturday? Hello!). So funny. And I just checked out your blog – it’s awesome! I did my MA in International Studies and hope to work in localized development someday. The IDEX fellowship looks amazing. I’ll be reading! I stumbled across this post and feel so inspired by your story. I wish you all the best as you explore some other options…getting in the pool is a great option (well, I am a swimmer so I am biased….). Wow, this was inspiring. I started running a while back to get in shape, but this is a story that really motivated me! I better do it while I can. Thanks for sharing!